We love Italy: food, sights, stores, history. Shares Guaranteed on this trip to Italy. Begin in Rome: easy for airfare, and if you need to come early/late to use a ff ticket , stay at the Rome Airport Hilton connected to the airport with a free shuttle to Rome. Ancient Rome is hopping, with a low Euro, everything is a bargain. Visit MAXXI, futuristic modern art museum by Zaha Hadid. Apuglia: the heel, an area is at the cusp of tourism. One of the richest archaeological areas: first Greek, Roman, then Norman, Sicilian,Albanian… Amazing food, Adriatic wowing coastline. It is new on the trav el list. Go now. Cinque Terra , another not-to-miss especially in May before the crowds. These are a string of gorgeous villages reachable by boat or walking. 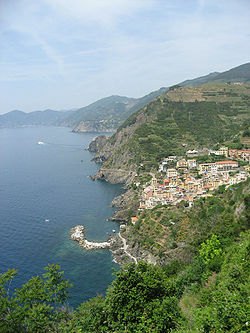 These “5 villages” are the rugged part of the Italian Riviera. You will never decide which town you love the most. Elegant Sorrento and Elite Capri, Gritty Naples, we see them all but still in a leisurely pace. 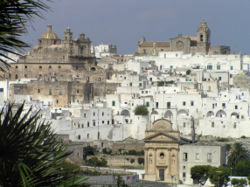 The Women’s Travel Group includes places like Naples since you would not go solo. Finish with Tuscany: Siena, Montepulciano, San Gimignano, Lucca, Pisa. DON’T FLY BACK AND FORTH TO ITALY; SEE IT ALL HERE IN APRIL. Some insider travel tips from The Women’s Travel Group.